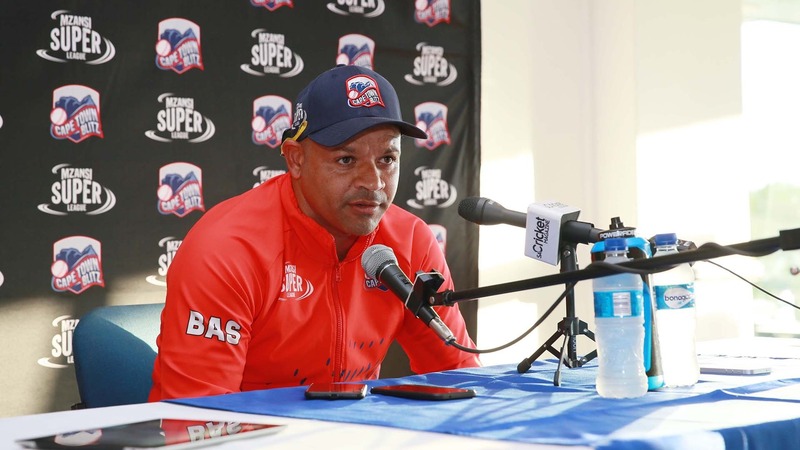 Cape Town Blitz head coach Ashwell Prince believes his team are ready to 'turn up' when they host the inaugural Mzansi Super League Final at PPC Newlands on Sunday, December 16. The table-toppers had already secured the hosting rights before their final league game against the Durban Heat got underway, and Prince admitted that he faced a 'double-edged sword' after initially selecting his team. "Before we came to the ground, we didn't know if we needed to win the game [against Durban Heat] or not. Maybe later on [after having already selected the starting XI], there was an opportunity [to give other players some game time] but you also want to get some players to get into form before the final," Prince said. "So it's a bit of a double-edged sword to give some guys a game but other people having to find some form ahead of the final," he added. Despite going down by 6-wickets - their third defeat of the campaign - Prince believes that his team's lethargic performance did not matter but come Sunday, when the team takes to the field in the Final, they need to turn up. "There is a lot of pressure throughout the tournament and I suppose before the game started, a lot of that tension would have been taken out of the fixture and maybe also a bit of urgency. At the end of the day, games that don't matter, don't matter - that's the bottom line. Today's game didn't matter, Sunday's game matters and it's about turning up when it matters," he stated. Cape Town Blitz will host the inaugural Mzansi Super League Final at PPC Newlands on Sunday, December 16 at 15:30 against the winner of the play-off match - which takes place on Friday, December 14. Tickets for the match are available at Ticketpro or at the PPC Newlands ticket office.